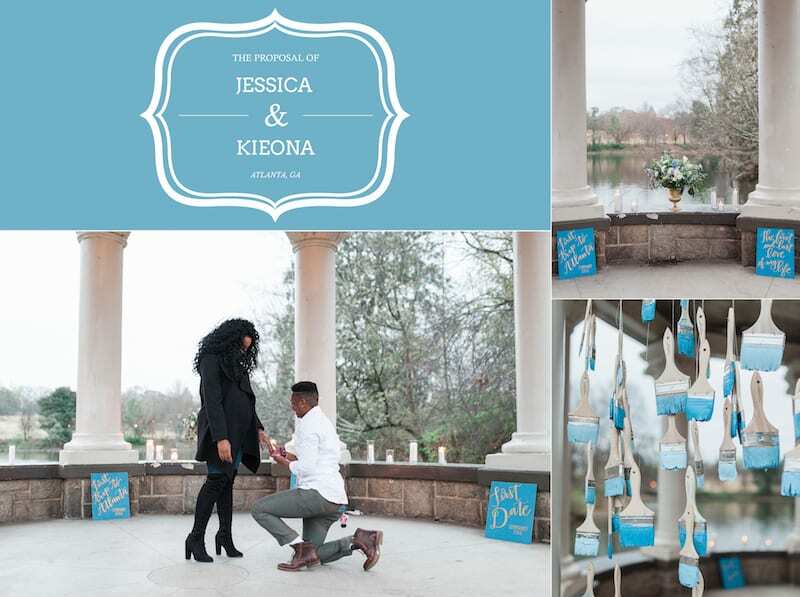 Kieona’s gal loves art. 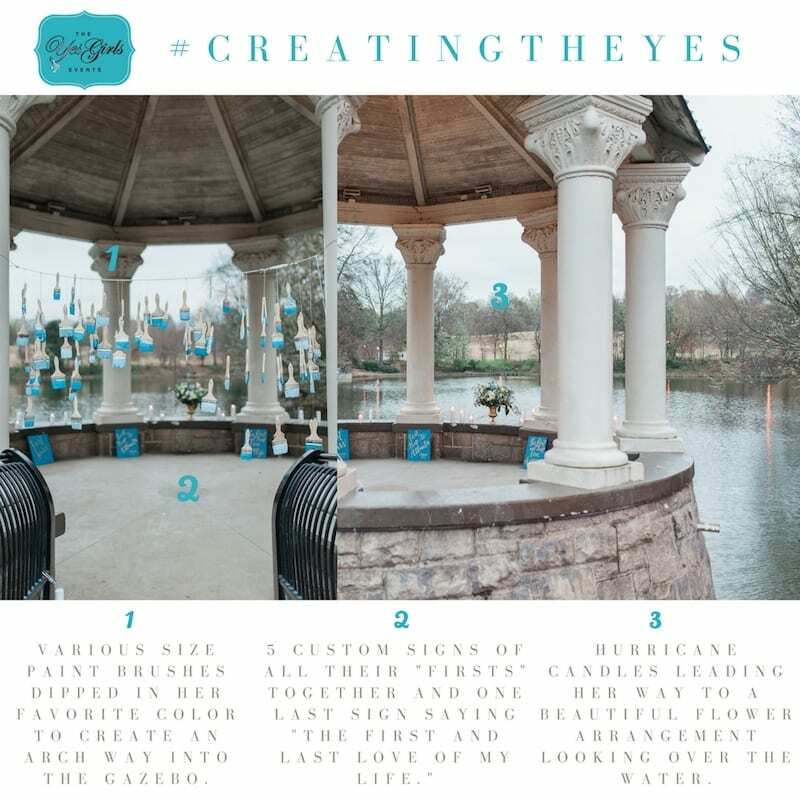 She loves to paint and she is obsessed with all shades of blue! 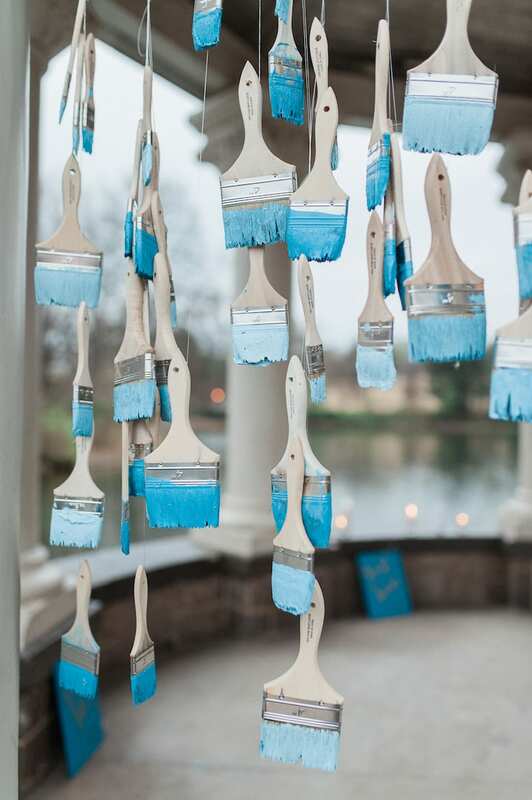 For their proposal we thought it would be so cute to have tons of paint brushes dipped in various shades of blue hanging in an arch! 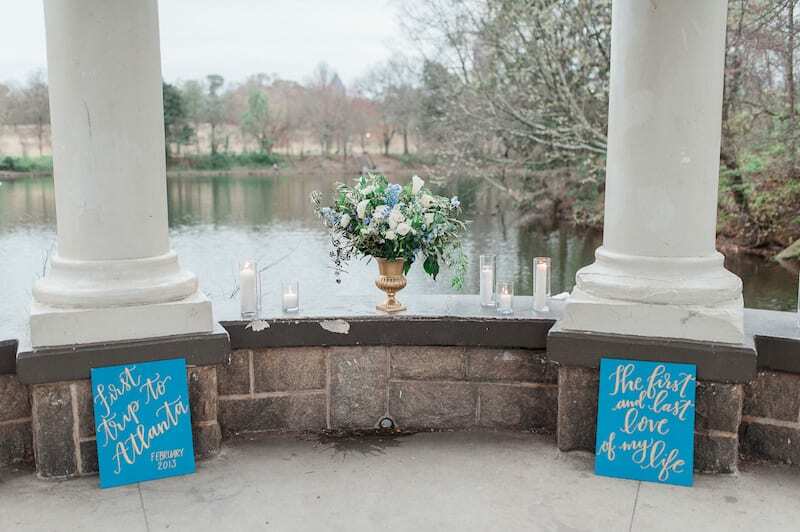 Then, we had our beautiful artist in California hand paint signs that dated milestones in the couple’s relationship. 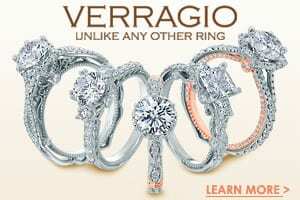 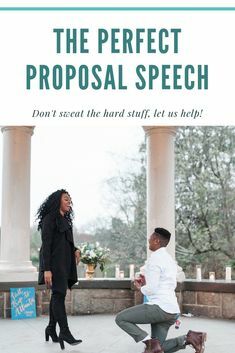 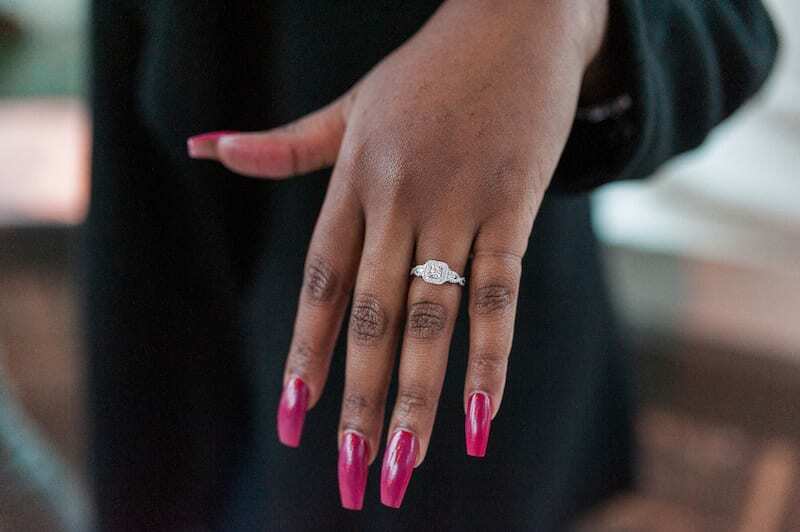 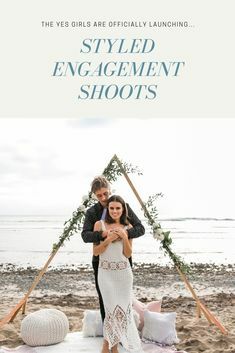 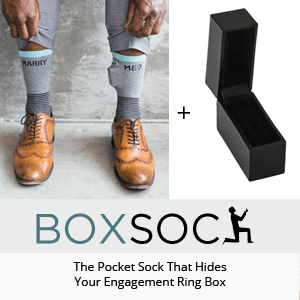 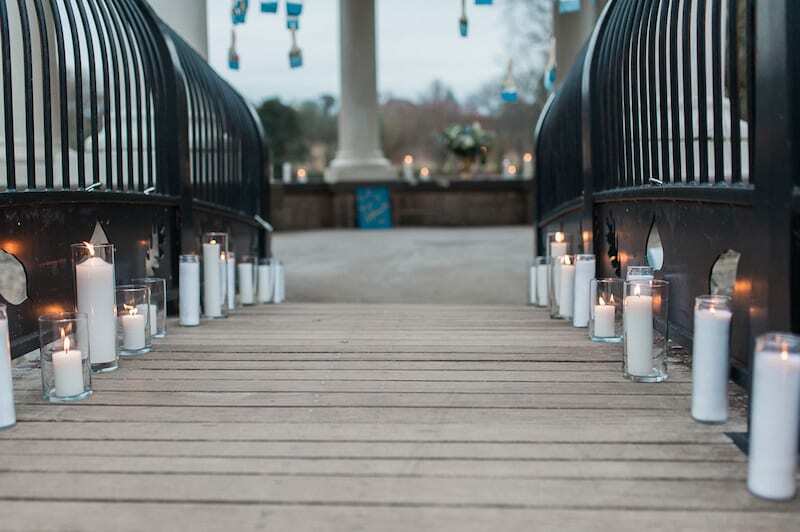 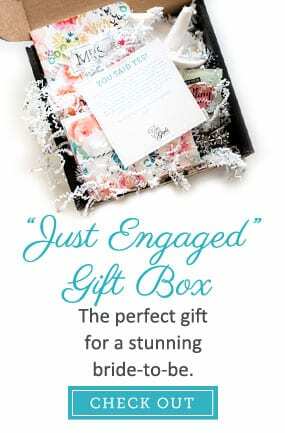 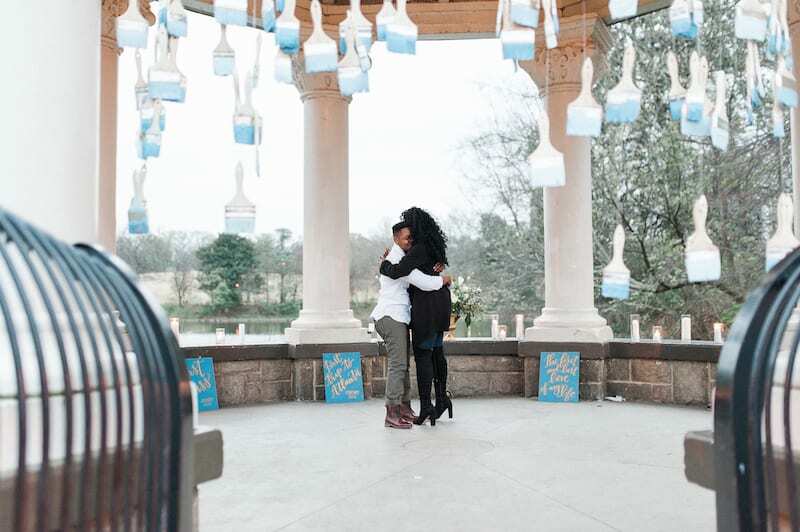 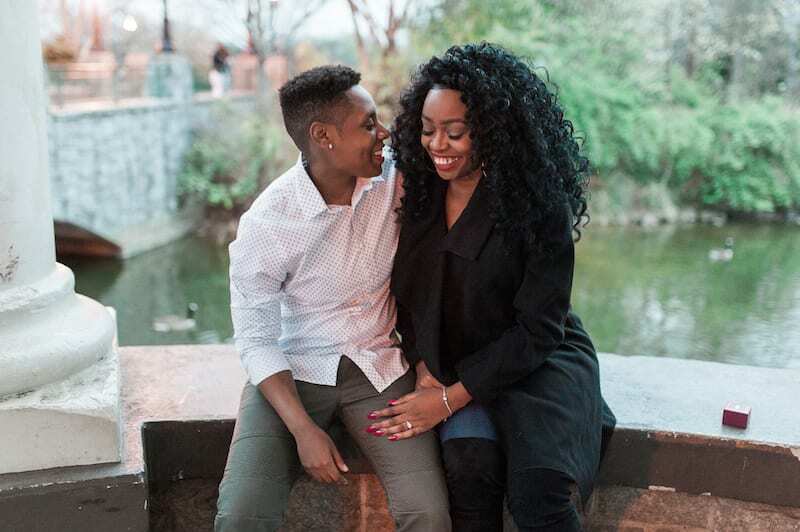 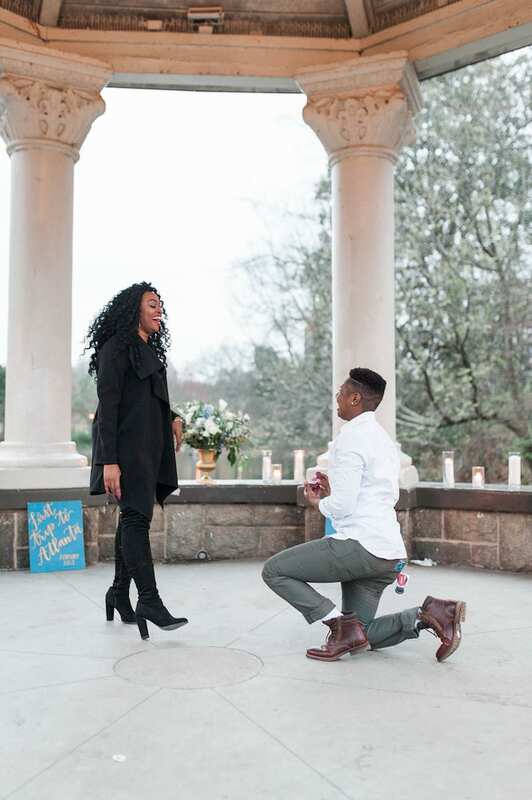 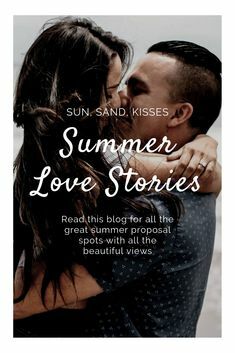 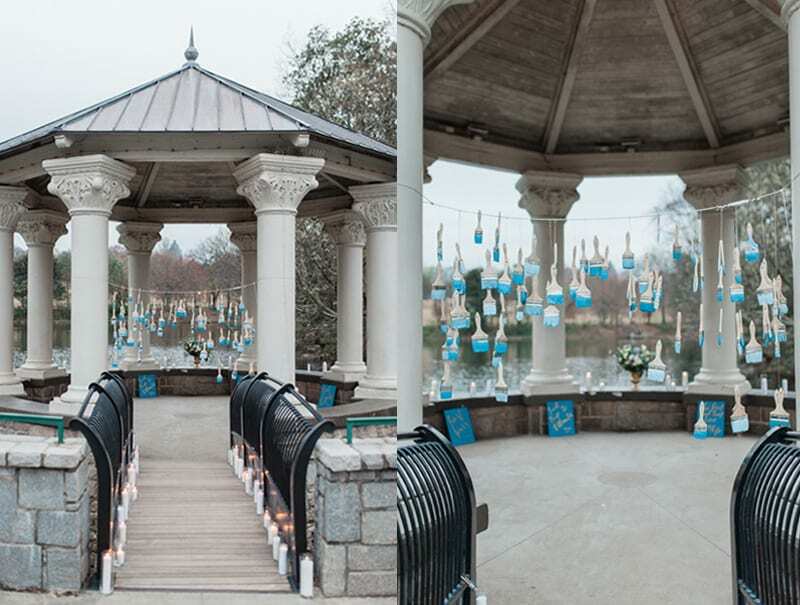 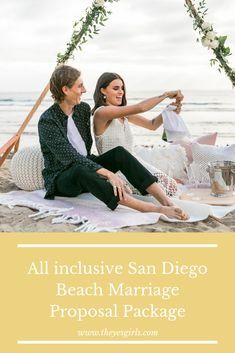 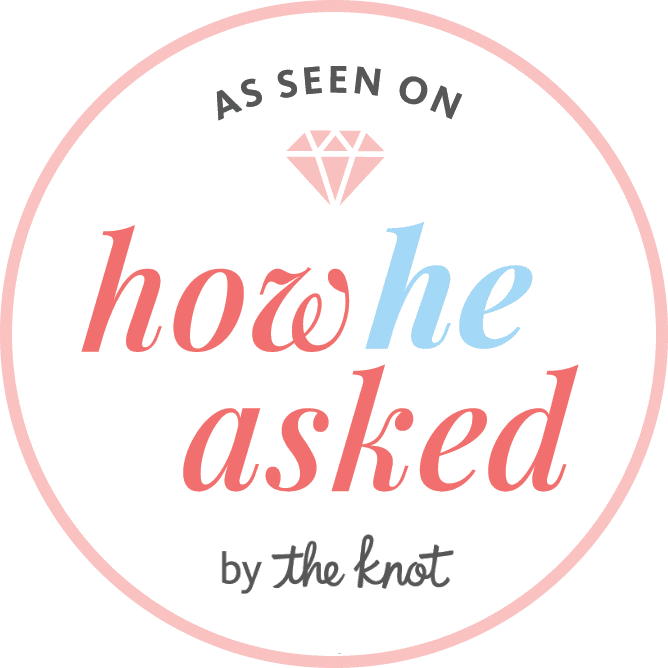 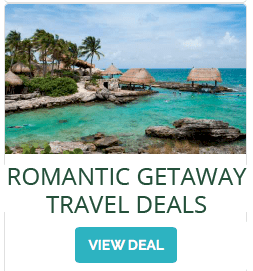 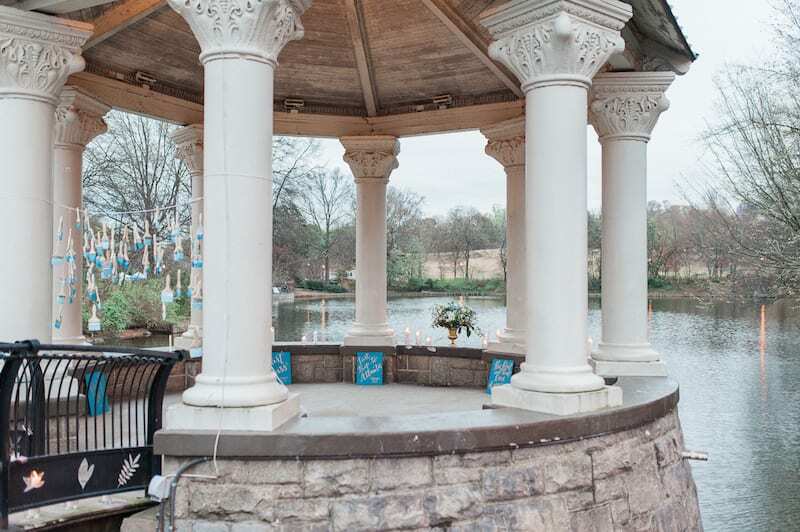 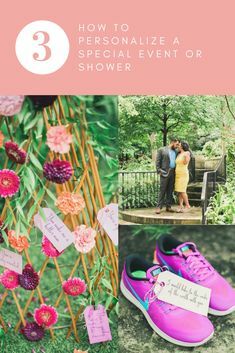 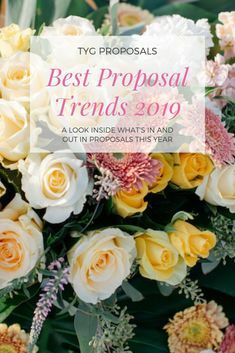 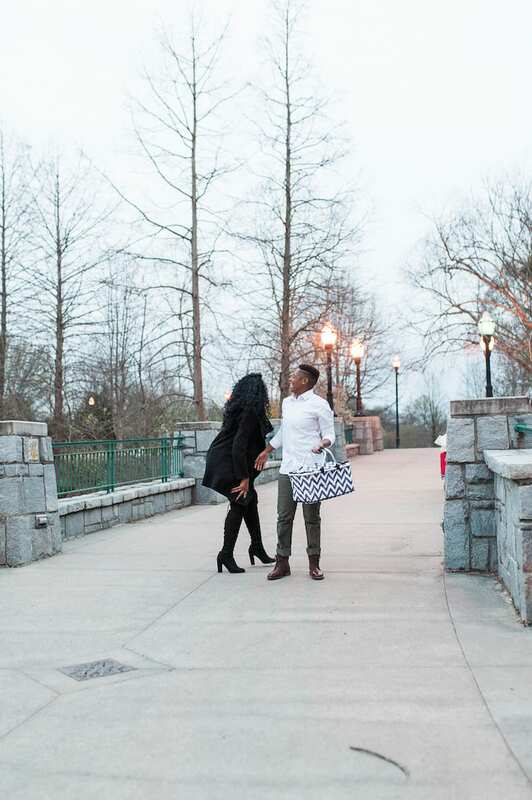 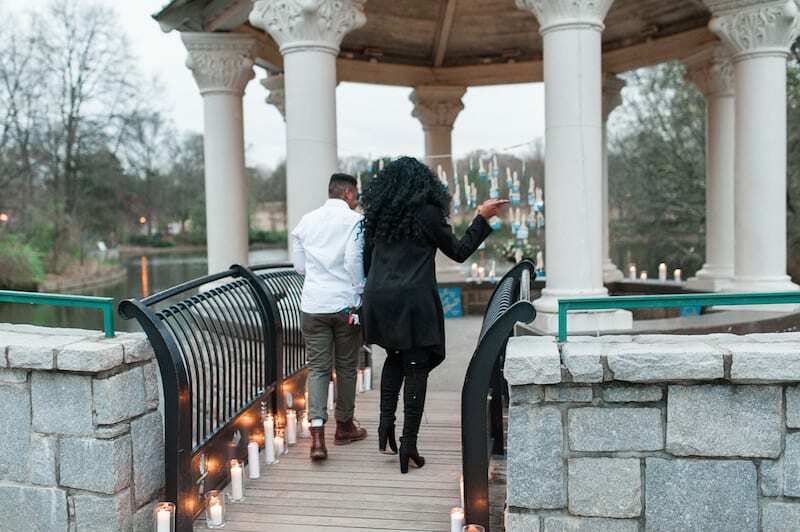 Throw in tons of candles, a beautiful white and blue flower arrangement, and an iconic Atlanta gazebo – voila you’ve got yourself one unique and memorable marriage proposal!